A variant of this heritable syndrome was first described by an Austrian ophthalmologist, Herweh Rieger, in 1935. There is considerable variability in the clinical picture and at least 4 types have been reported. The majority of findings are in the eye. Among these, glaucoma (with increased pressure in the eye) is the most serious and it occurs in about half of patients with Axenfeld-Rieger syndrome. It may have its onset in the first years of life, manifest as enlarged eyes (buphthalmos), a cloudy cornea (the windshield of the eye), and excessive tearing. These signs of congenital glaucoma may not be present if the intraocular pressure becomes abnormally high later in life. The iris (colored portion containing the pupil) often is incompletely developed and it may contain multiple openings (pupils) which may also be displaced. The cornea may have opaque areas near its edge. The middle of the face may appear flat since the upper jaw is usually underdeveloped. The root of the nose is abnormally flat and broad. The teeth may appear small. The lower lip may appear to protrude. About half of patients with this type of syndrome have a hearing deficit and defects in the hip joints. The umbilicus (“belly button”) often contains excess skin. 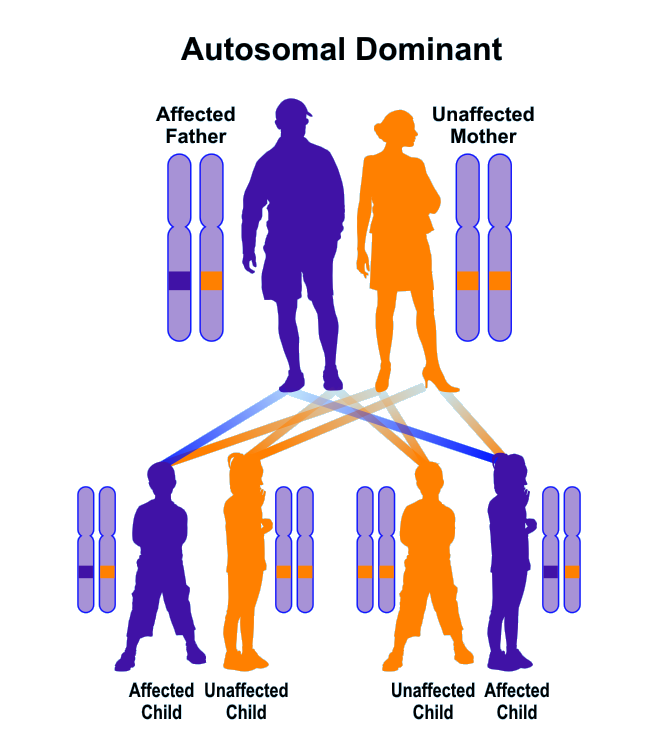 This condition is inherited in an autosomal dominant pattern. An affected parent confers a 50% risk to each child. At least 3 other varieties of this syndrome have been reported and genotyping is required to distinguish them. General health is usually good and lifespan is normal. It is detectable at birth based upon a detailed eye examination. Treatment is directed at individual abnormalities such as the teeth and the presence of glaucoma. Lifelong periodic eye examinations are recommended.